I do a lot of fun stuff and I can't fit everything in the Video Work and Photography Portfolio sections. So the blog will be my channel to show you everything else! 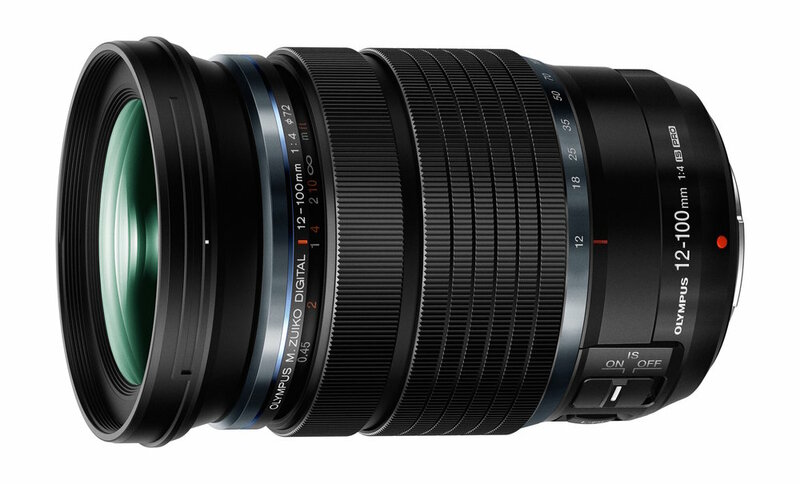 Nine months with the Olympus M.Zuiko Digital ED 12-100mm f/4 IS PRO - The ultimate travel lens? Disclaimer: I am an ambassador for Olympus Norway and I did not pay for this lens and I'm not being paid to write about it. All opinions about is are my own. About 9 months has passed since I got the Olympus 12-100 f/4 and I've used it quite a bit in various settings. I'd guess I've shot around 10.000 frames with it so far. So I though I'd share my experiences. In this review, I'm not going to talk a lot about the numbers, specs or show resolution charts. This is a real world review. I think I speak for everyone when I say that I HATE lugging around gear. So when I travel, I want to travel light and only bring one camera and one lens that does it all. Is the 12-100mm f/4 IS PRO that lens? Read on. When I first got the lens, my first though was "Do I really need this, when I already own the 12-40 f/2.8 PRO and 40-150 f/2.8 PRO?". But I decided to give it a go. At that time, it was Olympus newest lens and was rumored to be sharp and have great image stabilization. And since I do a lot of hand held filming, that awesome IS would be really handy. I also travel a lot, so a lens that "does everything" was maybe going to be right up my alley. But at first, I was a bit skeptical. Previously I've always brought my 12-40 2.8 PRO when ever I needed an all-round lens. It's quite heavy for being a Micro 4/3 lens at 561g (1.23 lb). But still a lot lighter than the popular Canon EF 24-70 f/2.8L II at 805g (1.775 lb) or the Nikkor AF-S 24-70 f2.8 G 900g (1.98 lb). The lens is 117 mm (4.59″). For a comparison in length, it's pretty much exactly in between the 12-40 and 40-150 f/2.8 PRO and about equal to the Panasonic Leica 12-60mm f/2.8-4.0. On a smaller camera like the E-M5 or E-M10 it's going to be really front heavy, but the E-M5 combined with a battery grip is a perfect match. With the bigger Olympus E-M1 and E-M1 mark II, you really don't need to use a battery grip if you don't want to. The manual focus clutch is great when you shoot video or really want to nail that manual focus. This fall I visited Iceland for 10 days, where me and my E-M1 mkII got soaking wet by rain, geysers and waterfalls. And since the 12-100mm f/4 IS PRO combined with my OMD E-M1 Mark II are both weather sealed I NEVER had to worry about my gear in those situations. It's really nice to have one thing less to worry about when you're out in the field. When the camera and lens got wet I occasionally I wiped the exteriors with a micro fiber cloth when I got back to our car, and sometimes I just left it to dry in the back seat. The zoom range is nothing but great, 12mm is wide enough for most uses and the 100mm on the long end gets you really close to your subject. It also focuses down to 0,15m (5,9") at 12mm, which makes it even more versatile! As I wrote in the backstory, I had always brought the 12-40 whenever i needed ONE lens to do everything, but those extra 60mm on the long end, and image stabilization really adds more than one might think. And the only trade-off is one stop less light and some (179g) extra weight. I've used it together with my OMD E-M5 Mark II, E-M1 and E-M1 Mark II and have had great results with all three cameras. Both for pictures and video. The auto-focus is fast and accurate in all lightning conditions. The lens is razor sharp at all apertures and all focal lengths. What more can you ask for? Well, one thing is that it would be really great to combine it with the 1.4x extender, but unfortunately (to my knowledge) they are not compatible. It's very flare resistant. I really like lens flares with some lenses but I could barely get this lens to flare at all. Should you get one? I don't know. You can probably survive without it, but it's a really awesome lens to have in your kit. So if you want one lens to do pretty much everything you throw at it, get one. Is it the ultimate travel lens? Pretty close! -I wouldn't call it a con really. But the auto-focus feels slightly slower then some of the other PRO-lenses from Olympus, but still lightning fast. Finally I'd like to share some pictures taken with this lens. Some are raw, edited in Lightroom and some are just JPGs edited in the field using Darkroom and/or Instagram on my iPad. Can you tell the difference? Update Nov 12th 2018: At 12mm the lens have some barrel distortion, so keep that in mind if you are going to shoot interiors or any kind of architecture. I totally forgot to mention it while I wrote this article. Thank you to Brian Nicol for pointing this out in the comment section.